To make decisions about when and how much to buy, a procurement manager needs certain critical information from fleet managers to better plan buying cycles. One example could be a company with a seasonal business that requires more vehicles during a holiday period. Photo courtesy of Air Force Global Strike Command via U.S. Air Force photo/Airman 1st Class Sahara L. Fales. The procurement function of researching, negotiating contracts, and purchasing fleet vehicles must harmonize with the management of those assets, so the corporation can achieve the most efficient and best utilization of a fleet’s vehicle lifecycle. Fleet managers or executives who control the purchasing process and the management of the vehicles can easily accomplish this goal because they can keep it all within their own head. However, when a fleet manager must seek approval from a senior executive or the procurement division, the two sides may not always be on the same page. Fleet managers tend to think in terms of the total cost of ownership for a vehicle, which may be at odds with a procurement executive who may just want the best price to lower acquisition costs. "Aligning and gleaning the expertise of the fleet manager – coupled with taking the long-term view of the asset life or lease term – can help open up the procurement manager's mindset to truly understanding how to get the best value for the fleet for their firm," said Barbara Banas, senior director of procurement for Wheels, Inc.
Of course, it's often not as simple as this, so procurement professionals must balance the, at times, disparate goals of reducing spend and maintaining an efficient fleet. Fleet management companies can serve as a valuable resource, since they have well-developed purchasing experience. Many procurement professionals have already moved beyond acquisition cost to assessing total cost of ownership. Over the next 12 months, chief procurement officers told Deloitte they are focused on spend consolidation, specification improvement, increasing supplier collaboration, and reducing TCO, according to the firm's 2018 Global Chief Procurement Officer survey. "Fleet managers who understand this perspective have a great opportunity to make the case for looking at fleet through the TCO lens," said Mike Ramsey, ARI's vice president of sales. "We’re seeing a growing number of fleet professionals achieving tremendous success by embracing procurement trends to make a business case for a TCO approach to fleet operations." Focusing only on the initial price of an asset or the incentives offered by manufacturers can be a limiting factor, and often leads to less-than-optimal results. "There are many financing options when purchasing vehicles, including a variety of leasing options, so determining the lifecycle of the asset and its utilization should be an early step," Banas said. "Additional factors that should be considered include vehicle reliability, vehicle quality, delivery timetables, total cost of ownership as well residual value." Understanding how a vehicle will be used is a must. For example, if a company is looking to purchase cargo vans for electricians, knowing which tools are used helps a buyer configure the internal cabinetry to optimize organization of space. Procurement managers should also be aware of the needs and expectations of drivers, who may provide input on ergonomics risks, for example, which may result in a higher worker's compensation claims. Have you recently been given the task of handling procurement? If so, several areas of fleet will dominate your thinking, including acquisition, management, and performance. Partner with your fleet manager if you have one, so you can learn from an in-house ally and subject matter expert. Procurement managers should seek out resources such as industry trade publications and events from established associations and trade publishers such as the American Automotive Leasing Association (AALA), Bobit Business Media, NAFA, and NTEA. Industry conferences will help you meet key players and suppliers, which is the first step toward understanding the supply chain. Be sure to keep your company's risk tolerance profile in mind. "Understanding their company’s appetite for risk will enable them to construct and contract with the supply base best suited for their needs," said Banas. "Then, you should be ready to wheel and deal!" To achieve corporate goals, procurement executives must manage all the relationships in the supply chain. 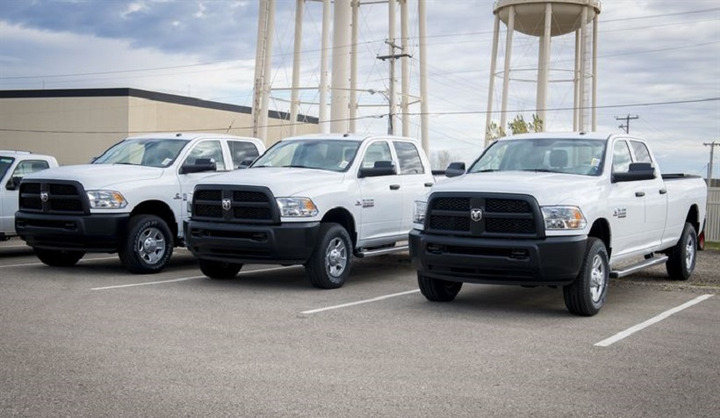 If you're buying a pickup truck, this would go beyond the vehicle manufacturer to companies that provide auxiliary equipment or services for the vehicle – such as a service body, telematics system, safety lighting, or toll management services. Good relationships will go hand in hand with solid sourcing strategies to improve the vehicle's performance as well as the driver experience. "Developing solid sourcing strategies across each category, identifying the best partners, nurturing those partnerships, formalizing agreements, measuring performance and driving improvements, and engaging in opportunities to promote growth, are the core elements to building a solid supply chain," Banas said. The technological advancements being rolled out for the connected vehicle, including more advanced telematics systems, require good relationships with suppliers, so procurement managers can stay knowledgeable about what they're purchasing. “Standardization is a key," said Edmondson. "You also want to perform RFPs and market checks on a regular cycle, whether that is annual or every two to five years. From a supply chain perspective, vendors should be scored regularly against KPIs and vendors should also perform regular quarterly business reviews. This helps to keep vendors in check and ensure they are understanding of expectations. Service Level Agreements (SLAs) should also be established for key suppliers in the supply chain." Procurement managers must work closely with their fleet manager to ensure they understand what drivers and the fleet vehicles need, details about budgets, and financing considerations for short- and long-term business plans. "A collaborative management style can be a catalyst to strengthen this relationship," said Banas. "The procurement goals should absolutely align and support the fleet goals. If not, the fleet may not be sized according to the firm’s needs or there may be financial constraints that are more restrictive on the fleet, which could impair the company’s ability to deliver their services for their customers." Purchasing decisions can be driven by a small group of stakeholders, which must reach consensus before reaching a final decision. "In most organizations, procurement works with – and supports – a wide-range of internal customers, with fleet being among them," Ramsey said. "In our experience, open lines of communication throughout the entire process are vital to ensuring all parties are aligned on the decision. This ongoing dialogue really helps each individual understand the why behind a certain perspective and how it may impact overall business objectives."